Since January 2008, the Orchestra of the National drama theatre named after M. Zankovetska together with the head of the Lviv Regional Foundation of the Ukrainian Union of people with special needs - Oksana Potymko, are organizing the integrated concerts "The life has opened", where the best blind vocalists from all Ukrainian regions sing accompanied by orchestra. 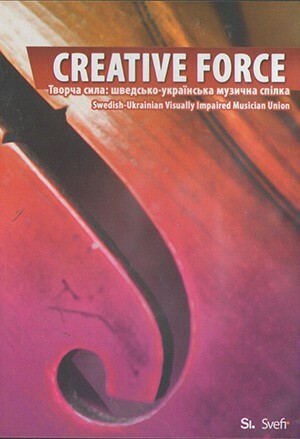 Audience of the compact disk "Creative force" will make sure that our soloists have peerless vocal skills and extraordinary talents. We wish to thank the Swedish Institute and Svefi-Akademi for all their support in recording CD. theatre n.a. M. Zankovetska. All rights reserved.